Courtesy of Re/Max Preferred Choice. Check out this move-in ready 3 bedroom home with fenced backyard, full basement & 1.5 stall garage! New siding & windows in 2014. Roof new in 2018. Huge master bedroom upstairs features sitting area, walk in closet & unique refinished hardwood flooring! Fully applianced kitchen offers huge pantry & charming breakfast nook. Gorgeous hardwood floors in main floor bedrooms, living & dining room. Interior freshly painted and very clean! Space for family room in basement. Lots of storage! 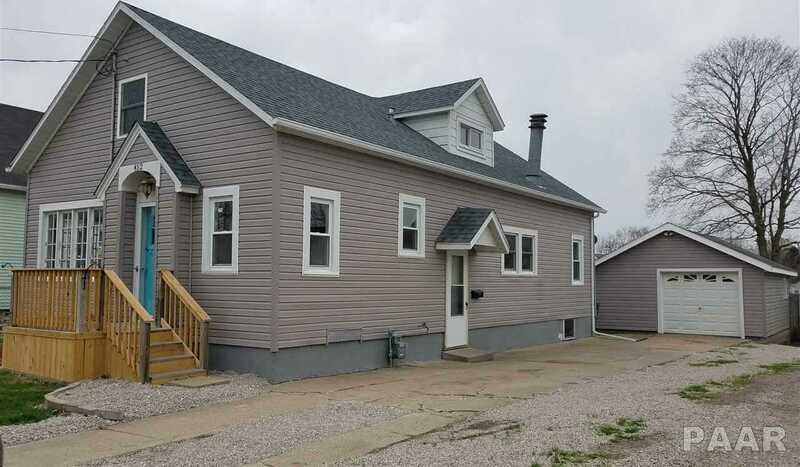 Please, send me more information on this property: MLS# PA1203692 – $84,500 – 452 E Fort Street, Farmington, IL 61531. I would like to schedule a showing appointment for this property: MLS# PA1203692 – $84,500 – 452 E Fort Street, Farmington, IL 61531.